The home buying process can be slow, and for some people – whether you’re moving and need a home or don’t like dealing with the stress of the process – it needs to speed up. 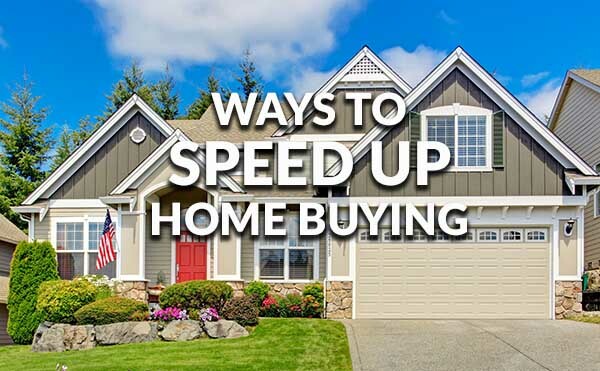 But there are some ways to speed up the home buying process. Currently, the housing market is a seller’s market. There aren’t many homes available in some areas, and the homes that are for sale usually get multiple offers — sometimes way over the asking price. So, how does the average person compete and buy a house quickly? A lender, bank or credit union will look over your finances and credit history to ensure you can afford a home. This is called a pre-approval. This speeds up the process because the seller knows you are serious and can afford their home, the realtor knows what range of homes to show you, and you have a clearer understanding of what your budget is. A good agent gives counseling on how to do things, and they can negotiate even in a tough market. 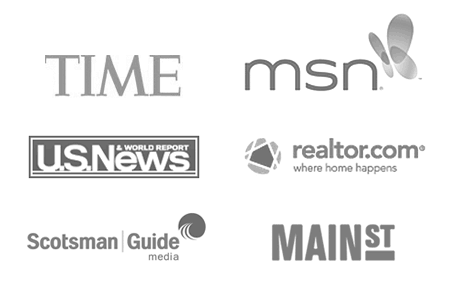 Reviews of realtors have become very important in the industry, McCallie adds. Talk with friends, family and co-workers who have recently sold or bought a house for their recommendations. Some realtors have big teams and brag about how many homes they list and sell each month. “If you go with a group like that, you don’t ever deal with the same person twice,” McCallie states. Ask the agent if you will be dealing with them personally through the whole process. This way, they get to know you and can help you with all the elements of buying a home instead of someone else trying to get up to speed with what you want and need. Do you absolutely have to have a walk-in shower? Do you love a private back yard? Your realtor will ask you all the things you need in a house, and you should have an idea of the things necessary for you to live a happy life. “Some of my clients know exactly what they want. Others have a general idea,” says McCallie says. If you can narrow it down to a few must-haves without being so specific, that will help to give you a bigger pool of homes to look at. And in the current seller’s market, it’s hard for home buyers to be picky. To save a lot of time touring homes in person, set some time aside to research potential homes online. “With professional photography and all the other online tools available, you can narrow down homes you’d actually like to see before spending the time doing it,” he says. Sometimes the most popular areas of a city or town will have low inventory because that’s where everyone wants to live. A low home inventory can slow down your home buying process because you have competition for the same house. Keeping an open-mind to the surrounding areas might help speed up your chances in actually getting your offer accepted. Also, homes in sleepier markets can often cost much less. Click for current mortgage rates. If you own a house already, sell it before you try to buy one. This can give you more buying power and money in the bank. Also, if you add in a contingency sale to your offer, sellers might just pass you up because they don’t want to wait around till you sell your home. Don’t ask for too many things on your offer that could make the sellers reject you. You can add terms that make your offer more attractive to sellers. Have your real estate agent find out from the listing agent what might help win the bid such as whether the closing date is important or a letter explaining who you are as a buyer. Many houses are being sold this year above asking price. You can add in an escalation clause in your offer saying you are willing to go up a certain increment for the highest offer. Previous story Can I Buy Real Estate With A Friend?